A female tourist was pulled over by cops for wearing an “indecent” pair of bikini bottoms. 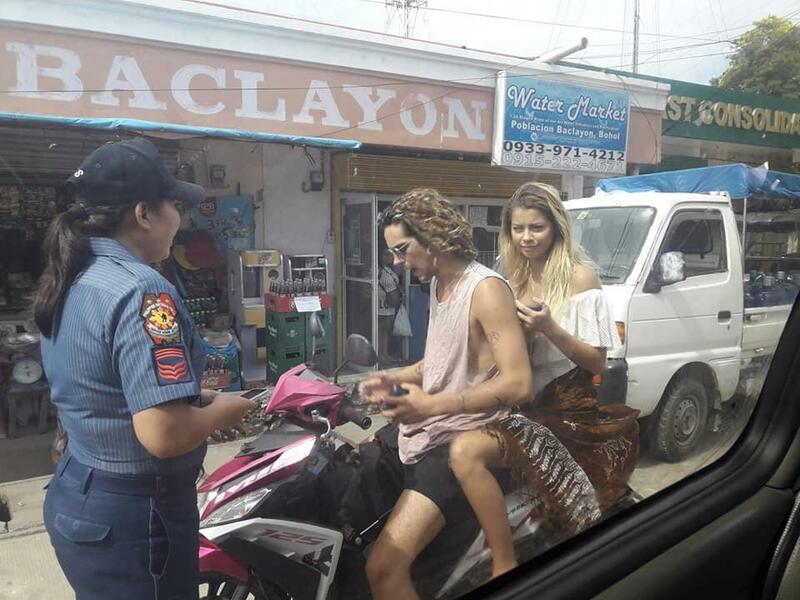 Officers spotted the unnamed woman riding on the back of a motorcycle in Bohol, Philippines last month. She was wearing a white top with a pair of bikini pants that exposed her bottom to passing motorists in the middle of a local religious festival. Cops were pictured pulling her over and ordering her to cover up her bare buttocks with a sarong. Neither of the couple were identified – but they were allowed to continue their journey in the popular resort. 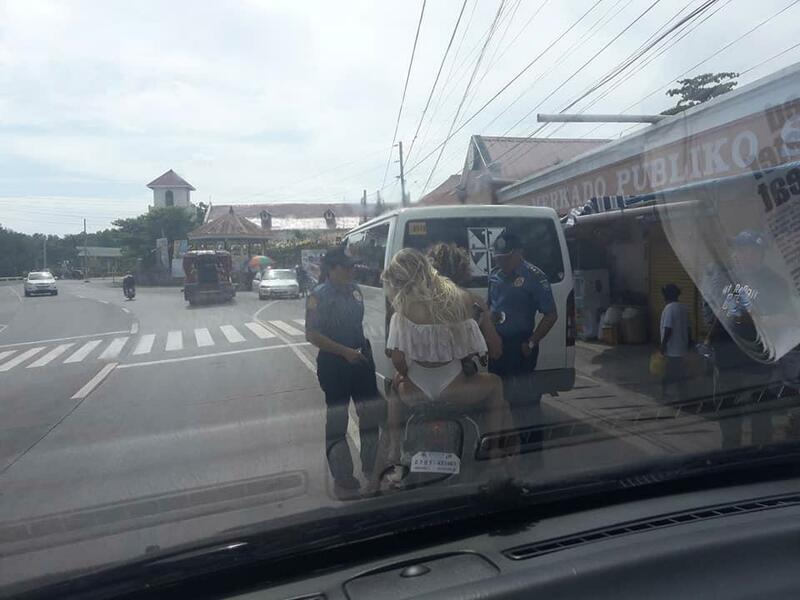 0 Response to "Female Tourist Stopped By Police For Wearing Bikini Pants On A Motorcycle (Photos)"